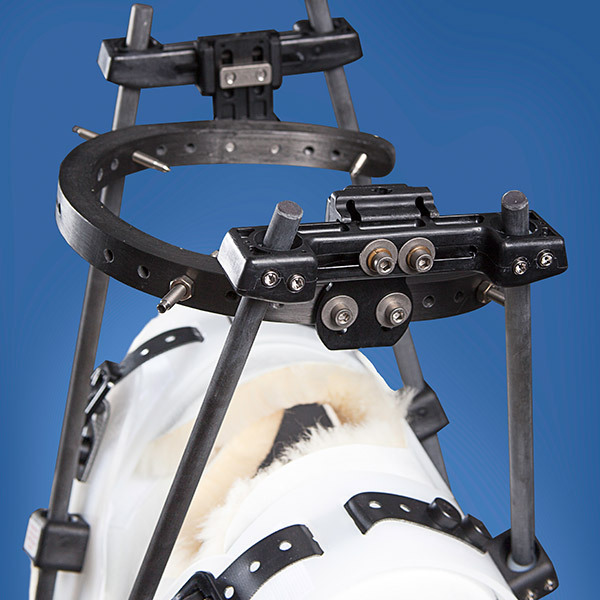 The PMT Corporation’s Halo system is the most reliable, easy to use and effective Halo structure available. 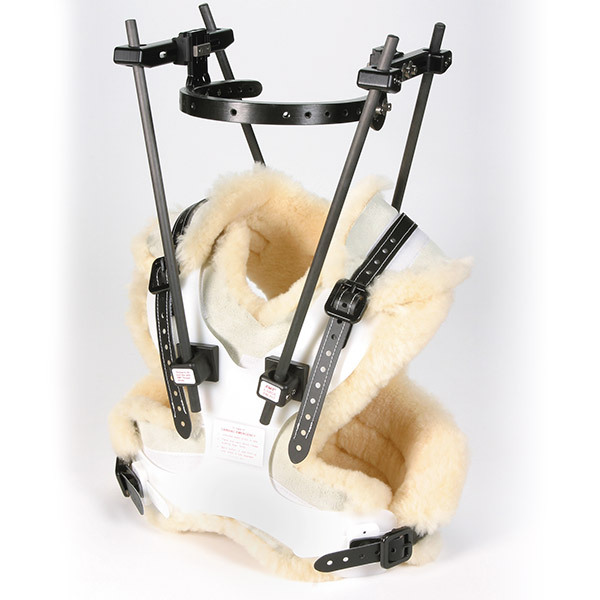 This Halo system is designed to provide optimal patient comfort and healing. Compared to spinal fusion, Halo fixation allows the body to naturally repair itself at a reduced cost. The PMT Halo head ring utilizes hand wound graphite to ensure product quality and consistency. The proprietary titanium skull pins are specially designed with a parabolic tip to increase the anchoring qualities and reduces the need to retighten the pins as with other designs. The medical grade titanium, TI 6AL-4V ELI, combined with the graphite head ring and support posts are MRI conditional at both 1.5T and 3.0T as well as CT compatible to provide the best imaging characteristics. 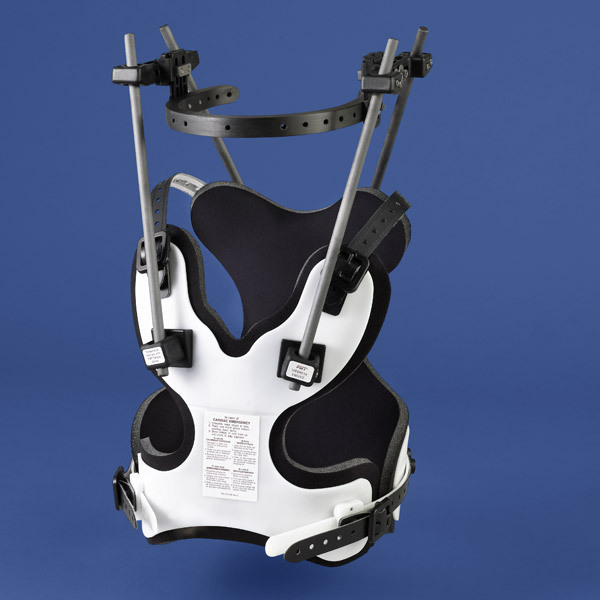 The gold standard in ambulatory fixation providing optimum support and patient comfort. 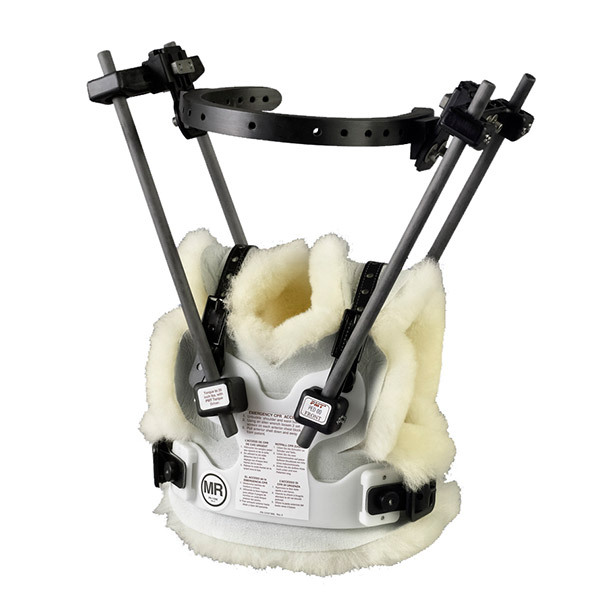 This open back traction halo system comes complete with graphite composite open back ring, traction bail, head pins, positioning pads, Extended Range (ER) superstructure, vest, liner, and wrenches.